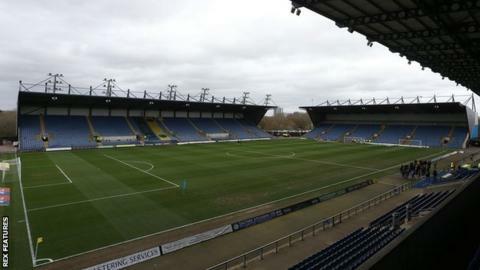 Oxford United have been served with a winding-up petition by their Kassam Stadium landlords for £204,000 in unpaid rent and service charges. Firoka - owned by former Oxford United owner and chairman Firoz Kassam - issued the petition on Wednesday. "It's very straightforward - if the company can't pay, you have to wind them up," Kassam told BBC Radio Oxford. League One Oxford say they have offered to settle the outstanding amount with Firoka by next Wednesday. The winding-up petition is due to be heard at the High Court on 22 May. It will be the fifth served on the club since February 2018, when Thai businessman and former Reading majority shareholder Sumrith Thanakarnjanasuth took over. In a statement, Oxford United accepted the latest quarterly payment has been missed. It also stressed Firoka had cancelled a face-to-face meeting over the issue, planned for 26 March, at short notice and had immediately asked for another to be arranged. "We're extremely disappointed a winding-up petition was issued and the press were notified," it said. "The club is reviewing its position and reserving its right to instigate further arbitration proceedings if necessary." Kassam, who owned the U's between 1999 and 2006, says Firoka have exhausted all other available options to obtain the money they are owed. "This is about a tenant-landlord relationship," he said. "I'm not a bank, I don't service other people's companies. "To have that situation continuously tells its own story and that the business is not in control of what it's doing." In February, a previous petition from Firoka for £240,000 was filed, but was put on hold during arbitration proceedings. Oxford are currently 12th in League One, seven points clear of the relegation zone following three successive wins.